Intercollegiate Studies Institute, 9781935191254, 368pp. The definitive history of supply-side economics—the most consequential economic counterrevolution of the twentieth century—and an incredibly timely work that reveals the foundations of America’s prosperity at a time when those very foundations are under attack. 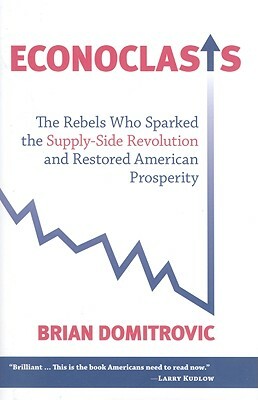 Brian Domitrovic holds a Ph.D. in history from Harvard University, where he also did graduate work in economics. He earned his bachelor's degree at Columbia University, studying history and mathematics. Professor Domitrovic teaches at Sam Houston State University and has written for numerous scholarly and popular publications. He lives with his wife and three daughters in Texas.